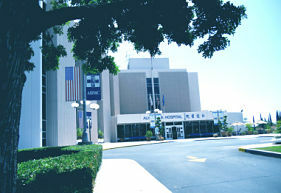 Alhambra Hospital Medical Center has implemented filmless computerized medical imaging. Our vision is to provide referring doctors with prompt, convenient access to medical images and results. This access is in compliance with the HCFA Internet Security Policy. This site utilizes 128 Bit SSL encryption for safety and confidentiality. If you are interested in this capability, please follow the procedures outlined below. 1. Download, print and sign the Confidentiality Agreement and fax to (626) 570-4263 or email to tthai@alhambrahospital.com. You can also mail it to: Attn: Timmothy Thai, PACS Administrator, Alhambra Hospital Medical Center, 100 S. Raymond Avenue, Alhambra, CA 91801. 2. Upon receipt of the signed Confidentiality Agreement, a username and password will be provided via mail or telephone. 3. Ensure that you have an active account with an Internet Service Provider. 4. Ensure that you have compatible browser software, either Internet Explorer, version 5.0 or higher, or Netscape Version 4.0.5 or higher. 5. Ensure that you have a direct modem connection into your computer (for optimal performance, cable modem or DSL is recommended). If you have additional questions, please contact Timmothy Thai, PACS Administrator, at tthai@alhambrahospital.com, or call him at (626) 458-4760, Ext. 7924.